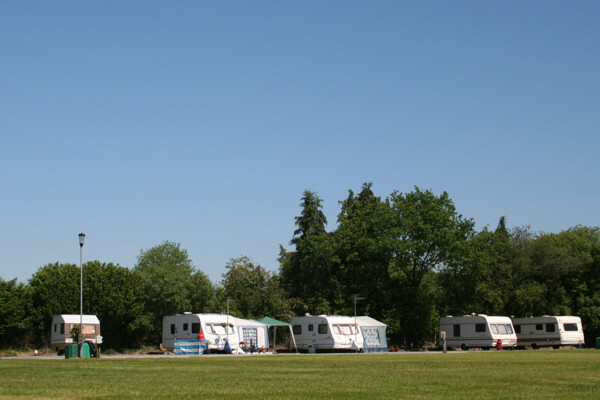 Llandovery Caravan & Camping Park has been developed to provide excellent facilities for all caravanners and campers. We have two toilet/shower blocks, and electric hookups throughout the site. Water hookups are available on some pitches, and all pitches have easy access to water taps. Both hard standings and grass pitches are available. Llandovery Caravan & Camping Park has been developed to provide excellent facilities for all caravanners and campers. We have two toilet/shower blocks, and electric hookups throughout the site. Water hookups are available on some pitches, and all pitches have easy access to water taps. Both hard standings and grass pitches are available. There are clean open-space play areas available, as well as the club's children's playground area.Full use of the clubhouse facilities is included for all visitors to the Caravan Park. This includes a comfortable and welcoming bar and lounge area, with very reasonable bar prices. Food can be provided subject to arrangements being made with the club stewardess, Jean Williams. Events held at the Clubhouse during the year (eg. discos, local group activities) are normally available to caravanners and campers at cost. Llandovery Caravan and Camping Park offers the following facilities. We have 3 for Llandovery Caravan and Camping Park. A maximum of 20 reviews are detailed below for Llandovery Caravan and Camping Park to ensure that this page is not too slow to load for you. Have you been to Llandovery Caravan and Camping Park? Please submit your review so that others can benefit from your experience. Important note: Information provided here about Llandovery Caravan and Camping Park is based on our best knowledge. However, please check with Llandovery Caravan and Camping Park before booking to ensure that you have the information required. Reviews are the sole views of the contributor and do not necessarily represent the views of CampsitesandCaravanParks.com or Llandovery Caravan and Camping Park. Llandovery Caravan and Camping Park 5 out of 5 based on 3 ratings. 3 user reviews.